I suppose it's about time. 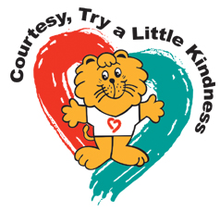 After all, I've been doing this for over 30 years – first, as the Courtesy Lion, and more recently, as your mascot for kindness. I'm just too tired to continue facing an increasingly angry and disagreeable society. A final word before I go. Let's be responsible for our actions. We can go online and be rude to others, but let's not think it “doesn't count” because it's anonymous. We can let our anger and disagreement dictate the kind of people and society we want to be, or we can decide to be gracious, even when frustrated. The reactions in Singapore vary with one side questioning the publicity stunt while others are praising it as a creative campaign. Some criticized it for sending a message to children that quitting is a positive option if one encounters hardships. Thank you, Singa, for 30 years of dedicated service. We could have done more to be kind and gracious, but regrettably took you and your service for granted all these years. I am deeply concerned that your absence may leave a large void in our society, one that is too big for any individual to fill. Is this a PR stunt to try reinstate Singa? No, we don’t need Singa as a courtesy mascot. It’s time he retired and was remembered fondly as a tool of the 80s. Please don’t come back as a “reboot”/ “rebranded” / “redesigned” lion. You see, I need a long break, especially from the government. You know what a “symbolic figure” is? Fake one, fake! That means, I am a fake. You see, I’ve been doing this for 30 years. On the surface, it looks like I am your mascot for kindness. But really, I am just “supposed to bring good luck” to “a particular organization” – PAP (Singapore's ruling party since the 1950s). They had hoped that if I had pranced around enough and make you kind, or maybe make you their kind, or actually, make you kind to them, that you will feel that the problems that they create will disappear. By resigning, Singa has ensured the survival of his message, just by simply stooping to our level. And by becoming one of us, he has turned us all off of being the angry and disagreeable society we are, because we’ve suddenly become so turned off by him. Oh, wow, the irony is still blowing my mind. My recommendation is that we should, as far as possible, do away with anonymity on the Internet especially on public forums where debate is taking place. People should take responsibility for what they say. Anonymity lets people say whatever they want without first reflecting on those views. …don't be fooled by it. It's part of the propaganda to bring graciousness to social media. Hate it that even Singa has to resort to deception in attempting to bring ‘kindness’ to cyberspace. @MiraculousFight @tpvote There are many factors causing ppl not to show kindness, it does not necessarily mean that Singa have failed. To prove that Singapore is a nation of kindness, there will be a Kindness Day on May 31. Organizers are promoting the hashtag #kindnessdaysg.